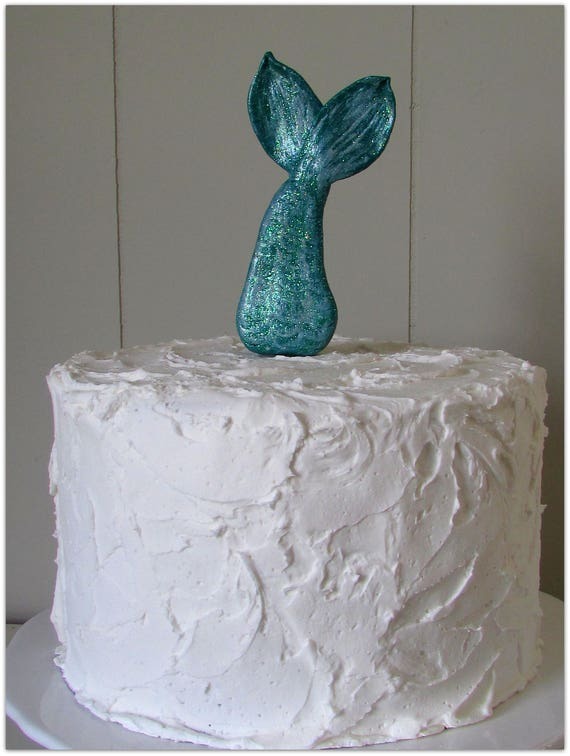 Mermaid Tail Birthday Cake Topper ~ This adorable mermaid tail cake topper set is perfect for any mermaid or under the sea party theme. It's hand sculpted polymer clay with lots of glitter. Don't see any you to fit your party theme? Need different colors? MESSAGE ME! I'm always here to help! Topper shown on a 7.5 inch cake round. Need a personalized banner or cake topper with a name, different colors, etc... just MESSAGE ME and I will see what I can do to create the perfect party banner and décor for you! As a Cake Artist for the past 12 years, I know a lot about cakes and parties. Check out my websites for great party ideas or email me at @samanthaeyth@gmail.com or here on the Etsy, for questions any time! I'm always here to help.